Two to four seconds is all it takes for employers to scan your cover letter. If they are not able to see what they are looking for, your document—meaning your cover letter and your résumé—will be put to waste. Hurt? But that is the way it is. Avoid writing a two-page cover letter. One full page is enough to do it. Three to four paragraphs are already ideal, with lots of spaces around the margin. Bear in mind that the reader is of time constraint and is scanning hundreds of cover letters and résumés a day. You are not writing about your life, so go straight to the point. On your first paragraph, let them know why you are writing them, indicating your intended position. On your second paragraph, let them know why you fit the job. On your last paragraph, mention that you have attached your résumé and that you are requesting for an interview. Do your own cover letter. Companies reading hundreds upon hundreds of résumés a day are becoming familiar with cover letters submitted to them that they can easily identify which are available in the computer, or who are the applicants who preferred templates and did not bother to write their own. That is the risk an applicant would be taking if he uses one, as his application may be neglected. Before printing your cover letter, do not forget to double check it for grammatical, punctuation and typographical errors. If hiring managers find too many of them, they will come into conclusion that you have problem with your communication and writing skills. Save yourself by looking professional. Use ‘I’ to a minimum. You will normally use the word ‘I’ in your cover letter but avoid utilizing it many times. They may mistake you for being self-centered. 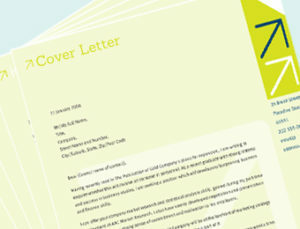 A well-written cover letter is the one done with a heart. The employer will mirror your willingness and effort in your cover letter. Speak of “writing with a heart,” there are expert resume and cover letter writers who don’t have a heart to drag your chances down. So, if you find this task grueling, you can count on them to do the work for you. Don’t need to find them on Google though, for here are the 10 of the best resume writers you can entrust your job hunt tools with.